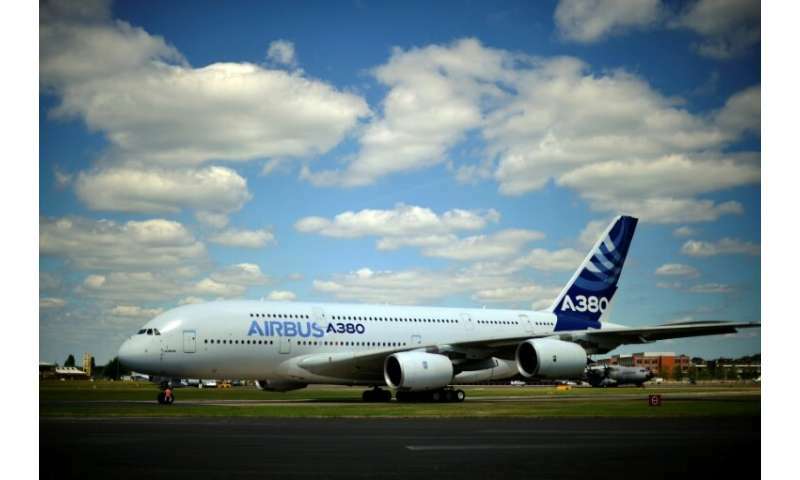 European aerospace giant Airbus said Thursday that it would stop building its A380 superjumbo, the double-decker jet which earned plaudits from passengers but failed to win over enough airlines to justify its massive costs. The final two double-deckers will be delivered in 2021, just 14 years after the first A380 went into service, after the Dubai-based Emirates decided to reduce its total orders by 39 planes, Airbus said. It marks a disappointing end to a bold bet on how millions of people would travel in the future, as airlines struggled to fill a plane capable of carrying anywhere from 500 to 850 people. "Without Emirates, Airbus has no substantial order backlog and no basis to sustain A380 production after 2021," Guillaume Faure, who is taking over as Airbus CEO from Tom Enders this spring, said in a conference call. Airbus had at one point chalked up over 320 orders for the superjumbo, which has a list price of $446 million—though the company often had to offer substantial discounts. Analysts had warned that Airbus wouldn't start to recover the roughly 25 billion euros in investment and production costs unless at least 400 planes were sold, and possibly up to 600. Airbus itself never disclosed how many planes it needed to sell to break even, a growing concern among analysts as technical problems and delivery delays piled up. With the reduced orders from Emirates, the A380's biggest client, Airbus said its order book now stood at just 274 planes. The A380's demise is a stark admission of defeat in the race against US rival Boeing, which had pointedly dismissed Airbus's bet that airlines wanted huge transporters serving a handful of global hubs. Most airlines are instead using traditional—and less costly—jets to offer more direct flights between more cities. 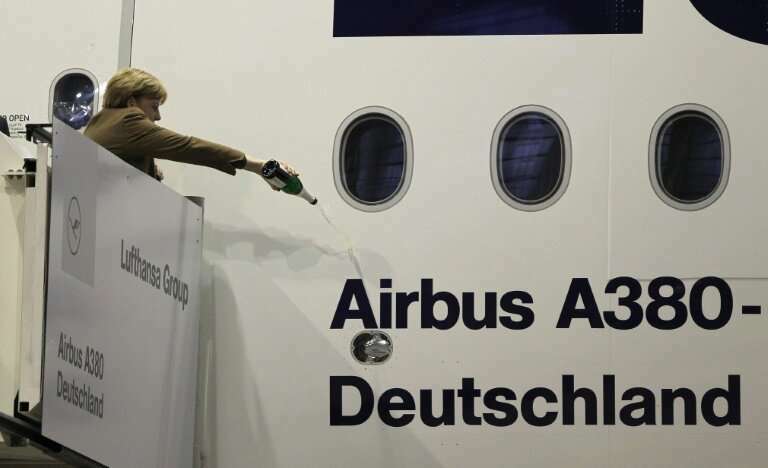 Airbus had already warned last year that the A380 programme could be scrapped if no new orders came in. It later received a lifeline when Emirates ordered 36 more A380s, but on Thursday Airbus said the airline had balked and would buy smaller A330 and A350 models instead. After just 10 deliveries last year, Airbus will build eight this year, seven in 2020 and the final two in 2021. 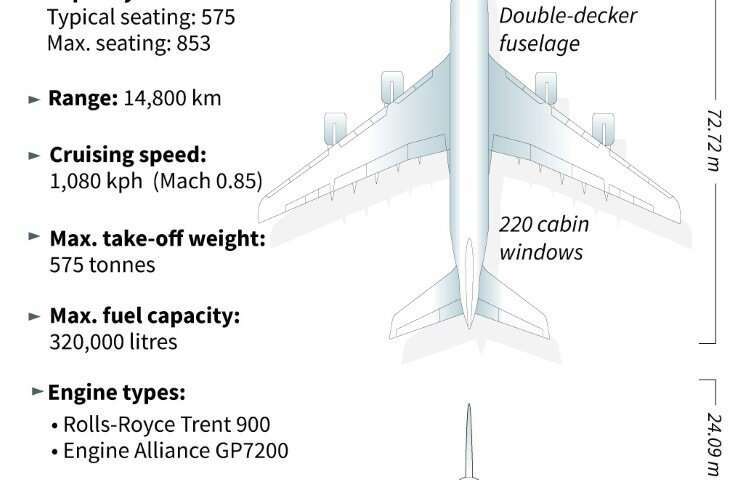 "The A380 is a world-class feat of engineering, much loved by passengers, and we are obviously saddened that deliveries will come to an end," said Chris Cholerton, head of civil aerospace at Rolls-Royce, one of the A380's engine suppliers. Airbus workers in Britain, where the plane's wings are manufactured, and in France where the jet is assembled, also expressed regret over the programme's demise. The plane-maker has promised that the 3,000-3,500 workers employed on the superjumbo will be moved to other projects. But Rhys McCarthy of Britain's Unite union said it was nonetheless "a sad day" for its UK employees. "It is a much-loved aircraft manufactured by a highly skilled workforce," he said. Jean-François Knepper of France's Force Ouvriere union said that although rumours that the programme was set to be scrapped had been swirling at the assembly plant it Toulouse "everyone was hoping for a miracle". 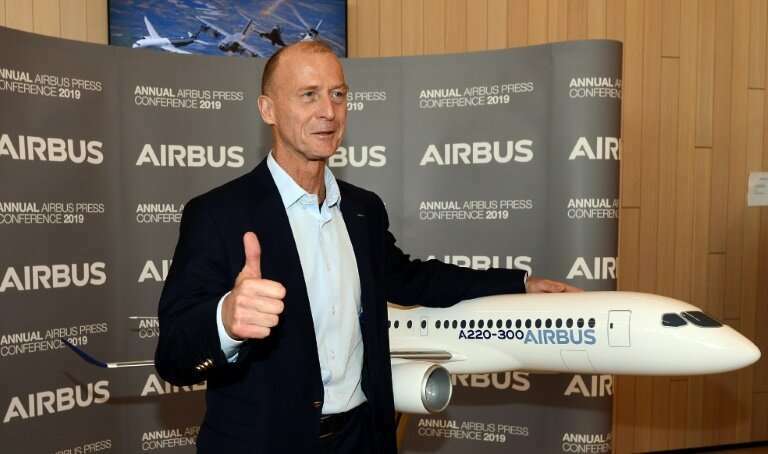 Winding up the programme cut Airbus's 2018 earnings by 463 million euros, but it still posted a 29 percent surge in net profit to three billion euros. Airbus said it expects to deliver 880 to 890 planes this year after 800 last year, reflecting steady demand for the A320, the workhorse midsize jet for short and medium-range flights. It is also targeting more clients for its long-haul A350. 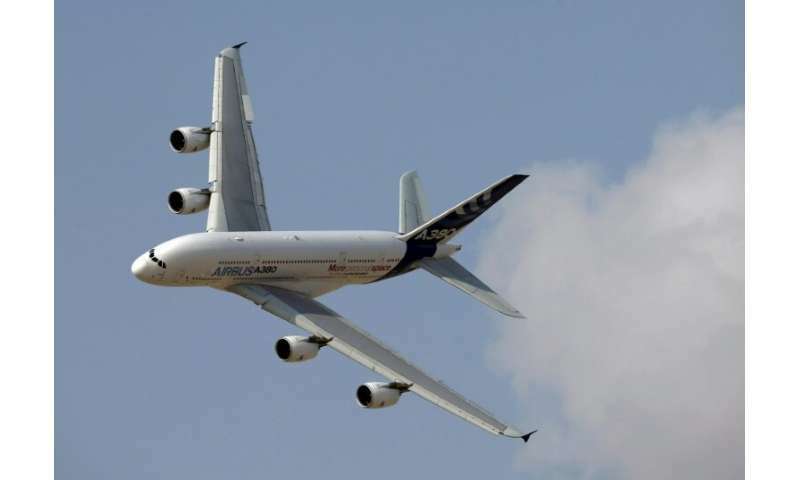 Airbus had faced scepticism over the plane's prospects since the 1990s, when it began to envision a competitor to Boeing's hugely successful 747. Initial orders however were solid, especially among Asian and Middle East airlines operating several busy long-haul routes. And passengers raved at a noticeably quieter cabin with decent legroom even in economy class—most airlines configured the plane for 500 to 550 passengers, instead of the all-economy potential for 850 seats. But Airbus suffered a series of costly delays before the A380's first commercial flight by Singapore Airlines in 2007. Production problems, including extensive wiring issues, and cost overruns in the billions of euros continued to plague the project, forcing Airbus to report its first-ever annual loss for the 2006 financial year. Airbus stood by the A380 even after it was slammed by the global financial crisis of 2008, when airlines started having second thoughts about owning huge planes that were profitable only when filled to the brim. Pledges to get the A380 programme back on track were not enough to avoid further delays, even as a series of safety scares raised questions among potential clients, including long-targeted Chinese airlines. "It is an extremely complex aircraft," Enders admitted to German magazine Der Spiegel in 2009. Kind of 'good riddance'. This aircraft exemplified the culture of corporate greed that produced this monster of sardine can seats and ripe plum targets for terrorists who likely drooled at the thought of taking down almost a thousand victims at a single whack. Note the article boasted all those window seats. What it did NOT mention was that 'center aisle' of hundreds of 14 to 16 inch wide sardine seats for asses 18 to 20 inches wide and with NO windows at all. Never rode on a monster like this and never wanted to. One look at the high fares of the era, and the smells of the stale air in these monuments to corporate kleptocracy...was all it took. Evidently I was not alone. Nowhere to be found in the article was this scheissfluger's bad taste in the mouths of its hapless customers, endlessly told to their families and friends..the 800 pound invisible gorilla in any boardroom where this albatross of corporate over-reach is 'reviewed'.